Precise is committed in delivering an honest, transparent and reliable plumbing and electrical service. Our on-call office staff are available 24hrs a day for your convenience. Our aim is to continually raise the bar when it comes to industry best practices and always strive to deliver a better service. 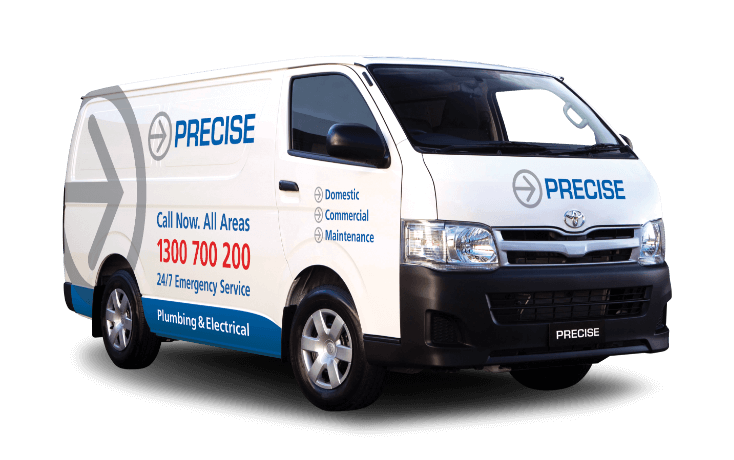 Precise Technicians are fully qualified and licensed electricians, plumbers and gas fitters. All technicians are uniformed, police checked, clean and presentable, drive modern clean, organised and fully stocked vehicles. All vehicles have GPS tracking to assist our emergency response times. Technicians on each job utilise wireless tablets which promotes quick and real time response, reporting, invoicing and job communication with the office. Precise Plumbing and Electrical we’re committed to ensure that we are a ‘Green’ company and socially responsible in Adelaide’s market. We recycle, clean our mess and choose environmentally friendly products and repairs. We always consider the environment and have best practice policies to ensure we do our best to help protect our precious world! Why Use Our Adelaide Plumbing Service?